In his comic ‘A Day at the Park,’ Kostas Kiriakakis tells the tale of two characters – the first a philosophical one-eyed winged alien creature, the second a toad-like pompous creature dressed as an English gentleman. They share a park bench. One-Eye is a collector of questions, while Toad is a collector of answers. What does it mean to be a collector of questions? I would never trade a question for an answer. Answers, as I see it, are useful to have around, but kind of boring too. I mean, they don’t seem to participate in the ever transforming dance of the whole universe, as we are. Sticking with them means you lose out on most of the fun. Reality can change as easily as the way you care to see it. An answer, static in nature as it is, refers to one frozen snapshot of that reality. Its value can only go down. Today’s treasure could be tomorrow’s garbage. Questions on the other hand seem to keep up with the dance and if anything their value can grow. It makes little sense to collect anything that could lose value over time. Too many actions have been based on those answers. Too much work and energy invested on them. They feel so important, so full of themselves. They will answer to no one. Not even their initial question! Once you see that an answer is not serving its question properly anymore, it should be tossed away. The only way a question can prove itself unworthy is by attracting a better question. You’re never empty handed! Kostas Kiriakasis. Image used with permission. The value of collecting questions rather than answers is crucial; not only for this tale, but for how we undertake inquiry learning. Traditional pedagogies have concentrated on the answer, often assuming there is only one answer. Answers to the most worth asking questions, which ironically are not meant to be answered regardless of our great efforts to do so. Definitive answers to such questions would rob us of our freedom. Freedom of choosing what’s worthy and what’s not, acting on faith, changing your mind, and being responsible for all these choices. Kostas Kiriakakis. Image used with permission. Kostas Kiriakakis’ gentle wisdom as voiced by One-Eye is also seen in Jamie McKenzie’s philosophy on ‘Questions as technology‘. McKenzie argues that questioning is fundamental to democracy. He says ‘In a fascist society, questions and questioning are viewed with suspicion. Questions are discouraged unless they remain within “safe” zones such as science and technology’ (2005 p. 16). He warns against simplistic questions that encourage factual recall and advocates ‘powerful’ sense-making questions asked by students which enable them to ‘make up their own minds’ (p. 22). In making up our own minds, we accept responsibility for our choices and gain the freedom that One-Eye explains above. Likewise, as Harste points out, in engaging with inquiry ‘learners must take responsibility for ideas as well as for the personal and social actions that result from ideas’ (Harste 2001 p. 15). naturally recurs, creating opportunities for transfer to other situations and subjects’ (also see Kath Murdoch’s characteristics of essential questions). There seem to be two main types of questioning frameworks advocated for inquiry learning pedagogy (Bond n.d.; Treadwell 2010). The first type are generative. These frameworks provide the means for students to ask essential questions. They include question formulation techniques (Rothstein & Santana 2011) and questioning strategies (Quigley 2012). The second type are productive and evaluative. They drive data and information seeking. They provide the questions with which students interrogate their process and the sources used in the course of their inquiry. They include disciplinary questions for data gathering such as those used to interrogate an historical site (e.g. Loewen c2010), generic questions relating to the critical evaluation of information (e.g. Henderson 2011) and process questions such as those related to the stages of the inquiry cycle (e.g. Brunner 2012). We need all these frameworks to conduct rich, generative inquiry. We need these frameworks to allow us the freedom to choose and to be responsible for our choices. What sort of frameworks do you use? Bond, T. (n.d.) A questioning framework. Brunner, C. (2012) How to: inquiry. The inquiry process. Youth Learn. Harste, J. (2001) What inquiry is and isn’t. In S. Boran & B. Comber (Eds. ), Critiquing whole language and classroom inquiry (pp. 1-17). Urbana: National Council of Teachers of English. McKenzie, J. (2005). Questions as technology. in Learning to question to wonder to learn. Washington: FNO Press. Quigley, A. J. Questioning. Top ten strategies. Wiggins, G. (2007) What is an essential question? Big ideas. Authentic Education. 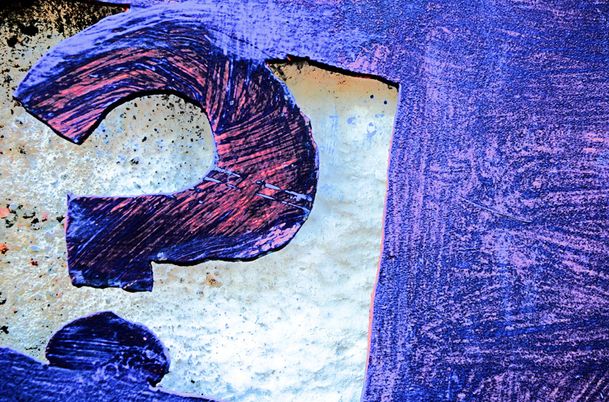 ← What is inquiry learning?